On this day in 1987, SEGA released a science-fiction/fantasy role-playing game by the name of Phantasy Star for their Master System console in Japan. It was later localized in English and Spanish, ported to numerous systems, and spawned three direct sequels and several spin-off titles. Hugely successful and highly innovative for its time, Phantasy Star helped to lay the groundwork for the role-playing game genre alongside it’s contemporary, Final Fantasy, with both titles being released within days of each other. Today, it is regarded as one of the most important video games of all time, and has consistently been listed as one of the very best games of its kind. SEGA is celebrating the series’ 25th anniversary with the release of the Phantasy Star Complete Collection, which is now available on the Japanese PlayStation Network for PlayStation 3 for the price of ¥800 (approximately $10 USD). 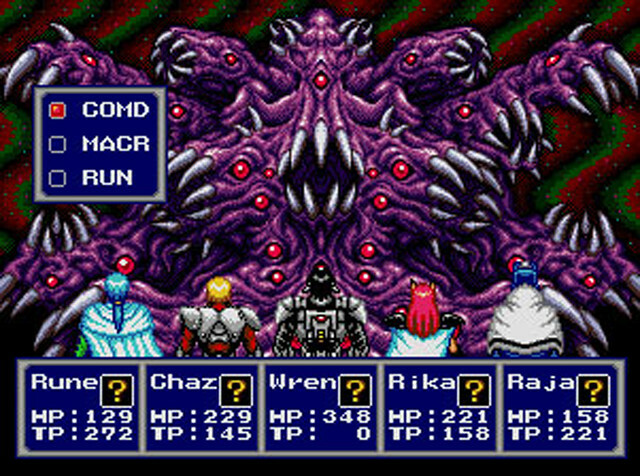 Phantasy Star, Phantasy Star II, Phantasy Star III, and Phantasy Star IV are all fully translated and playable in English, so these titles should not be overlooked by English speakers. Phantasy Star II Text Adventures is a compilation of eight visual novels, each centered around one of the main characters from Phantasy Star II and was first available through the SEGA Meganet modem accessory for the Genesis/Mega Drive console, while the eight stories — made available in two separate compilations — were later ported to the console’s SEGA CD/Mega CD add-on. Phantasy Star Adventure and Phantasy Star Gaiden were both released for the SEGA Game Gear in 1992, just months apart each other. Adventure was the first Phantasy Star title to be released for SEGA’s handled and features a different gameplay style than other titles in the series, being a first-person text-based adventure game that takes place during the events of Phantasy Star II. Gaiden, on the other hand, is a traditional role-playing game in the style of Phantasy Star I, which Gaiden is an indirect sequel to. It’s worth noting, however, that according to series continuity both Adventure and Gaiden are considered non-canon. No announcements have yet been made on the possibility of an international release, though anyone with a Japanese PlayStation Network account can purchase the collection in any territory. UPDATE: A trailer for Phantasy Star Complete Collection has been released — be sure to check it out after the break. SEGA Vintage Collection has been recently released on both XBLA and PSN – for the XBox 360 and PS3 respectfully. 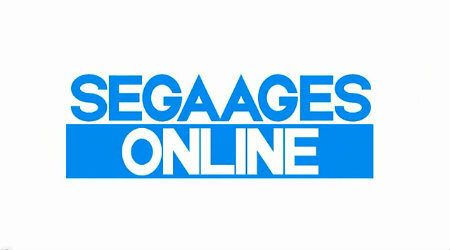 Known as SEGA AGES Online in Japan, it features proper emulations of SEGA classics – both console and arcade – with an abundance of features. It is developed by M2, former SNK employees responsible for SEGA’s Virtual Console offerings on Wii and many previous SEGA AGES games on PS2. Extensive emulation options, high definition artwork wallpapers, leader boards, saving, replays, achievements/trophies, new trial modes, and on-line play are all included, bringing these games back to life in a respectable, professional manner. With it being an on-going series of releases of classic games, it might be helpful to get a basic overview of what is included, how it fairs, and how others view the games released so far. Below is a compilation of this. 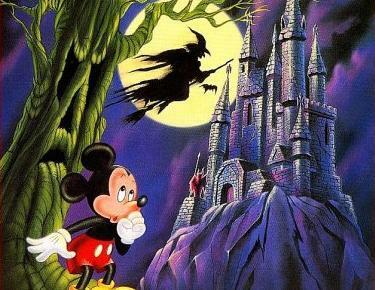 In an article by Nintendo Power on the recently revealed Epic Mickey title for Nintendo 3DS it was announced that the title will be designed as a follow-up to the 1990 SEGA classic Castle of Illusion: Starring Mickey Mouse. The game will see Mickey Mouse traveling around various Disney worlds, meeting with several characters (Scroodge McDuck is cited as an example) in a 2D action platformer style perspective. The game will feature high-detail sprite art with several layers of parallax scrolling for added 3D-effect. Not to be confused with Junction Point and Blitz Gammes’ upcoming Wii, Xbox 360 and PlayStation 3 title Epic Mickey 2: The Power of Two, Epic Mickey: The Power of Illusion is it’s own unique game developed by Dreamrift, whom are best known for their highly regarded Monster Tale and Henry Hatsworth games on Nintendo DS. No release dates have been discussed, but it is expected to be released around the same time as Epic Mickey 2 later this year. Gain Ground is the 1988 action-strategy arcade classic set around 350 years in the future where The Federated Government has created an era of peace. Because war ceases to exist the human race has begun to lose their fighting spirit; Worried of threats from outside of Earth, it is decided that a virtual reality simulation of various periods in time will be created to re-introduce their civilization to conflict. An unforeseen problem occurs and instead traps everyone inside the virtual world, turning the test of strength, knowledge and courage into a dark reality. Included after the break are numerous variations of the ‘Origin’ zone, the first location in the game. Quartet is the classic 1986 action adventure platform title for arcades chronicling the adventures of the space warriors Lee, Joe, Mary and Edgar as they journey through a mysterious planet to thwart an evil robot army from taking over the galaxy. Designed as a platform game with puzzle elements, Quartet, along with Midway’s Gauntlet was one of the few video games available at the time to allow four players to play cooperatively. This time we will focus on the title theme of Quartet, which has been remixed a number of times throughout the years. Space Harrier is the 1985 pseudo-3D third-person rail shooting game developed by SEGA-AM2 on the System-16 arcade hardware under the supervision of Yu Suzuki who would become one of the most successful and revered people in the industry. Unusual to many of his later games, Space Harrier is designed in the unique “Fantasy Zone” setting where many of the objects and enemies the player must face are nonsensical or mythical beings. Today we will be listening to what is considered the main theme of the game. Videogame blog 1UP features an extensive two-part interview with world-renowned game designer Yu Suzuki. The interview spans much of his history within the industry as well as what his concepts and work have achieved and gone onto create. He may be more influential than you expect. This interview goes into everything from his first work with Hang-On to creating whole genres and some of the most universally acclaimed and renowned game franchises in the industry all the way to his latest work, Shenmue City. It is a must read for anyone interested in the history of game design. 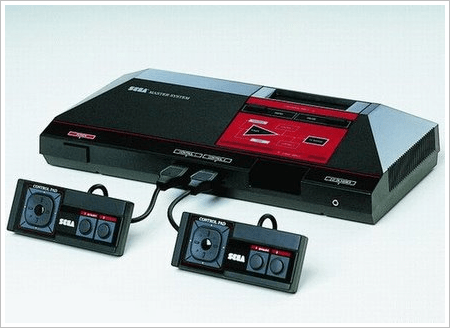 PART 1 – Yu Suzuki talks about the old days at SEGA and current industry trends. PART 2 – Yu Suzuki looks back at the Shenmue franchise, and explains why he’s been out of the public eye in recent years. SEGA Legacy articles is a series at The SEGA Source about the vast and varied history of SEGA. They can range from people to places to times to art to even just a simple song. The staff here has a vast knowledge of the company’s history and would love to share it all with anyone willing to listen. Now sit back, get your favorite beverage ready because “The Challenge Will Always Be There”! Hit the jump to read the second in the SEGA Legacy series.